My sister Shari arrived late last night, and is visiting through the weekend for Easter. 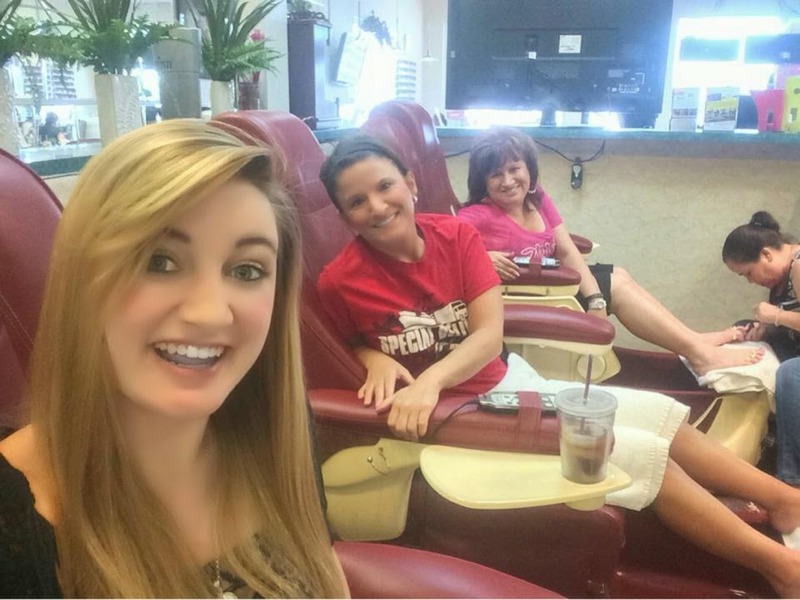 We started out the day yesterday by enjoying pedicures together with my daughter Savanna. Shari mentioned again how hard things would be right now, had I not found her back in 1993, pressing forward after I experienced what is known in the adoption world as, "secondary rejection." We talked about why we think secondary rejections happen – the biggest reasons in our mind being unresolved pain and the shame. One of the frustrating things for me as I meet people who experience secondary rejection is that it is utterly needless. I have yet to meet even one person whose secondary rejection was rooted in a good reason. And yet, it is a decision that is made countless times, affecting so many in it’s wake. If I wouldn’t have pressed on to find my brother and sister, Shari would not be laying in the next room over, sleeping in my house right now as I type this. She wouldn't have sat in Pipo's and eaten a Cuban sandwich with us for lunch today. She wouldn't have attended Zumba class with me at the church and jumped around high fiving me afterwards. She wouldn’t enjoyed ice cream with me after Zumba (negating all the sweating we did in class). She wouldn't have laughed so hard with me over inside jokes that all of the passersby wondered what got into us. She wouldn’t have gone on a long walk and had a heart to heart talk with me, after we got home. None of that would have happened. Instead, she probably would have been back at her place in Charleston, SC…laying in bed thinking about how all of her family members are gone now except our brother. Had I accepted our mother’s needless decision of a secondary rejection in 1991, that would have been the reality of my sister’s life right now. Why do I reject secondary rejection, outright? Because there's never a good reason for it. Every time I've heard a woman's reason for it, it's rooted in a cover up, lie, secret, shame, or unresolved pain. If someone can give me even ONE good reason for secondary rejection, I'd consider it as a viable option but as of yet no one has been able to do that. I’ve been admonished at times to accept the things I can’t change. But sometimes you just have to decide to change the things you can’t accept. Yes, You CAN Get Through Secondary Rejection!